These gifts are for that Dad that likes and wants the newest or most unique gadgets! He likes all things Techie and likes have the most technologically advanced items around! Get your Techie Dad (or Husband) one of these items are you are sure to please him! VTech Phone with Hands Free Calling Feature! 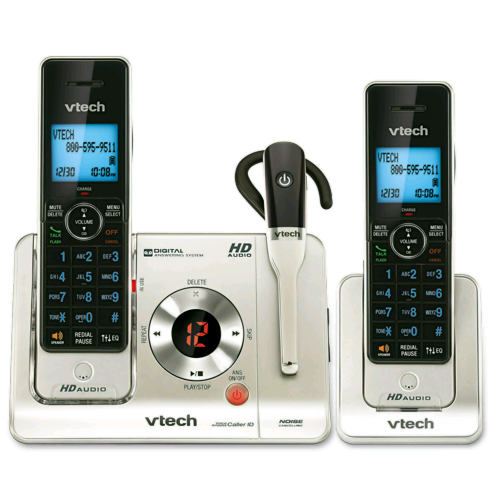 For consumers that need to get more done while talking on the phone, VTech offers the LS6475-3. This phone system comes with a comfortable cordless headset (IS6100) mounted on the base station, allowing consumers to easily answer the phone while handling other important tasks. This hands-free calling experience is ideal for busy households with hectic schedules or working professionals in need of a home office solution that enables mobility around the house. In addition to the headset, the system includes two cordless handsets with speakerphones to provide users with a variety of call options. Other features of the LS6475-3 include HD Audio with equalizer for four different audio profiles, Voice Announce® caller ID and push-to-talk for walkie-talkie functionality within the house. Originally published on 2012-06-08 by Kelli Miller at 3 Boys and a Dog .